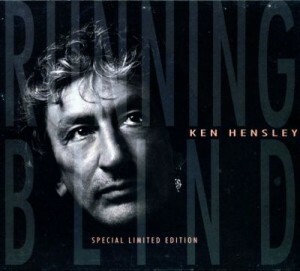 In the early 2000s Ken moved back to Britain, where at first he was busy with Hensley Lawton Band, and later formed a new band and recorded a new album, «Running Blind». The album was recorded at his studio in St. Louis (The Upper Room Studios) and at Liscombe Park Studios (Soulbery, England). 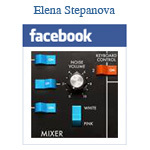 Musicians from St. Louis Symphony Orchestra took part in the recording. In addition to the new material written for «Running Blind», there are two songs from Hensley’s previous album, «A Glimpse Of Glory» — «It’s Up To You» and «Movin ‘In». Two more tracks, «Free Spirit» and «I Don’t Wanna Wait», are also familiar to those who bought «From Time To Time» (1994) compilation. The song «I Close My Eyes» was originally written as a demo for Uriah Heep’s «High And Mighty» (released in 2004 as a bonus track on the CD re-release); «Running Blind» features a new version of this song. 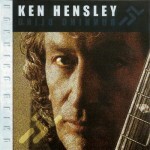 «You’ve Got It (The American Dream)» was subsequently used by Ken Hensley on his album «Blood On The Highway» (2007). «Running Blind» was also released as Special Limited Edition (2002) that included 14 tracks, among them «Overture: La Tristeza Secreta De Un Corazon Gitano (Pt. 2)” and «Jesus (Again And Again)», previously released on «A Glimpse Of Glory» re-release in 2002. «I Don’t Wanna Wait» and «It’s Up To You» in this version of the album were replaced by «I Won’t Change» and «Let Me Be Me». Strings arrangement — Steve Schenkel.